The official ribbon-cutting ceremony is still a few months away, but the sparkling new Cade Museum for Creativity & Invention opens for business this weekend with a full slate of exhibits and activities. Dr. Robert Cade was in failing health in 2007 when his daughter, Phoebe Miles, drove him to the proposed site of the Cade Museum for Creativity & Invention along a neglected stretch of South Main Street in downtown Gainesville. The area, on the southeast corner with Depot Avenue, was an industrial brownfield site. The abandoned property was where the railroad once came into Gainesville. The soil was contaminated with lingering coal tar, and only a visionary could see anything good from it. That was shortly before Dr. Cade, the physician and UF professor who invented Gatorade, died of kidney failure at the age of 80. Encouraged by her father’s words, Miles and her husband, Richard, forged ahead to bring the Cade Museum to fruition. 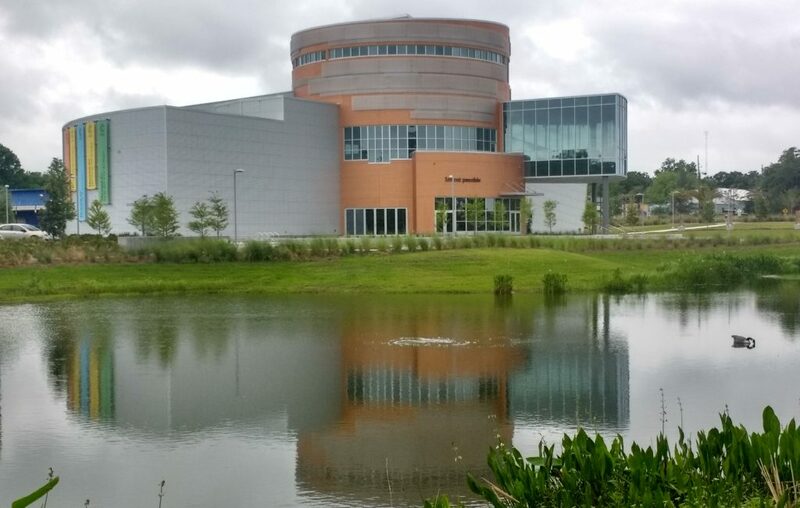 Eleven years later, that vision becomes a reality on Saturday at 10 a.m. when the Cade Museum for Creativity & Invention opens its doors and its exhibits to the public for the first time. 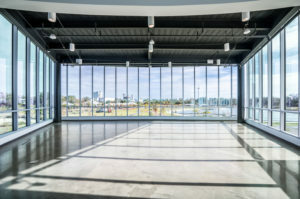 The state-of-the-art museum, at 811 S. Main St., on the west end of Depot Park, is the shining jewel to a 32-acre urban-renewal project decades in the making. 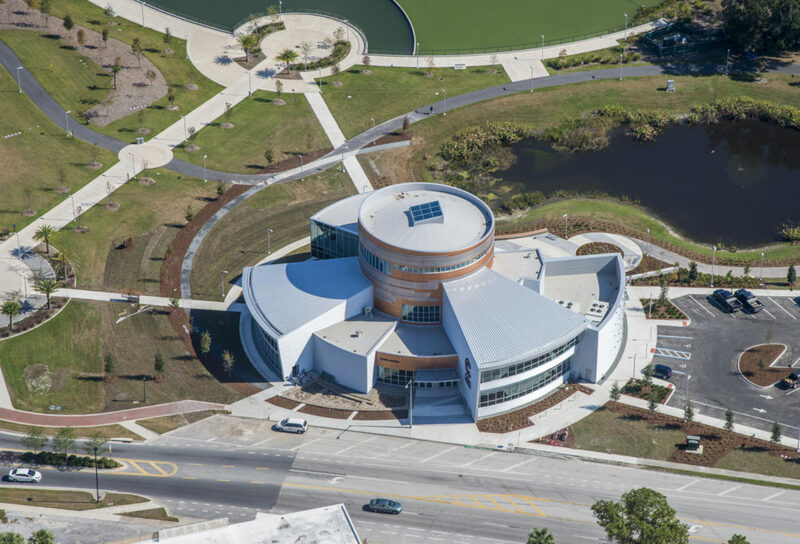 The Cade Museum for Creativity & Invention is a 25,474-square-foot, multistory facility featuring interactive exhibits, the Cade Creativity Lab and Fab Lab, a gift shop and a sculpture garden. Hours are Wednesday through Saturday 10 a.m.-5 p.m. and Tuesdays and Sundays 1-5 p.m. Admission is $12.50 for adults, $10 for college students and seniors, $7.50 for children ages 5-17 and free for children 4-and-under. Visitors this weekend will have access to the Robot Zoo temporary exhibit, The Sweat Solution permanent exhibit that tells the story of Dr. Cade and Gatorade, the education labs and the Idea Atelier upstairs in the Petty Family Gallery named after Exactech founder Dr. William Petty. Bailes referred to the Petty Family Gallery, overlooking Depot Park through a wall of windows, as “a kind of cerebral space” for conversation, reading, book signings, lecture series and fun activities such as brain games, origami and coloring. The space includes retro furniture in bright colors and bookcases. Across the upper floor of the museum is the exhibit space containing Robot Zoo, a traveling exhibit featuring three robot animals and hands-on activities. The larger-than-life-size animated robots include a chameleon, a platypus and a house fly with a 10-foot wingspan. From the upper reaches of the 68-foot-high rotunda hang more than a dozen colorful banners saluting inventors and their inventions, including Thomas Edison (light bulb), Alexander Graham Bell (telephone) and the lesser-known Richard T. James (Slinky) and C.J. Walker (hair care). Meanwhile, the museum’s ground-floor rotunda space will spotlight a local inventor each week. Saturday’s featured inventor is Dr. Gerry Shaw from EnCor Biotechnology. He will demonstrate his antibody reagents and what they do to help the world. Antibody reagents are the workhorse behind breakthrough research into finding cures to viruses and cancers. “The idea is for them to come in a share their inventions with the public,” Bailes said. “They can make it as personal as they like. In turn, programs in the museum’s Creativity Lab are designed to fit each weekend’s visiting inventor. This coming week, the lab will feature all things light, from luminescence to fluorescent, bio luminescent and more. 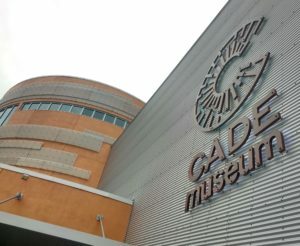 The Cade Museum for Creativity & Invention’s mission is to inspire future inventors, entrepreneurs and visionaries. Although the museum will greet it first paid visitors this weekend, its Creativity Lab has already hosted more than 2,000 grade-school students from as far away as South Georgia and Orlando. “It’s experiential education, which means it’s hands-on learning,” said Lipka, who has been with the Cade Museum since 2011. 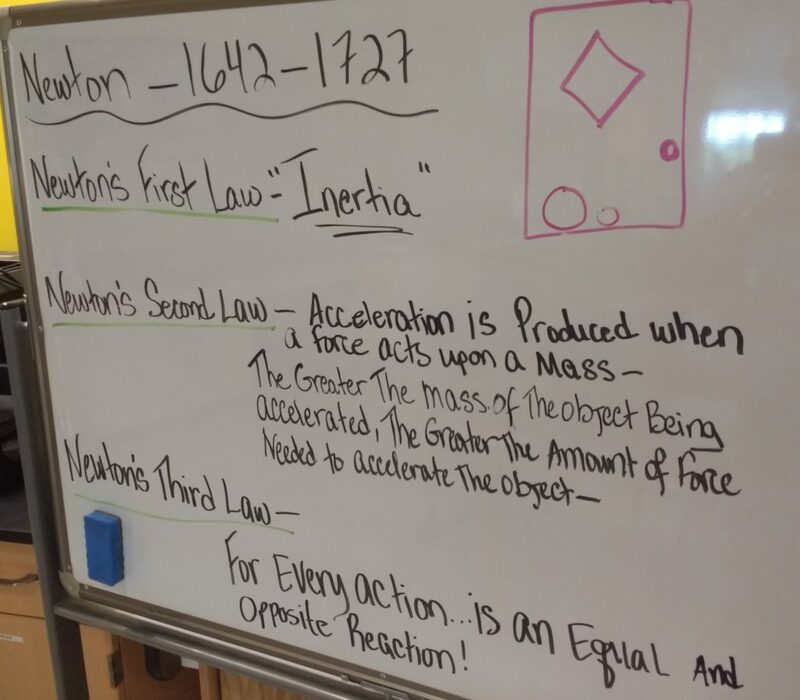 “When teachers come in here to see how we teach Sir Isaac Newton — the class is called “That’s Sir Isaac Newton To You” — we take it from first-grade level all the way up to eighth grade depending on how much info on Newton you want to cram into two hours,” she said. Lipka said the Creativity and Fab Labs are spaces to spark that “Aha!” moment — to help someone maybe leave their comfort zone and try something new. The Creativity Lab has three MakerBot 3D printers, nicknamed Curly, Larry and Moe after The Three Stooges. The printers can reproduce objects in perfect detail one very thin layer at a time. For example, Lipka has a made a drawer full of hard-plastic tweezers purposely downsized for use by first graders when dissecting plants. The opening of the Cade Museum for Creativity & Invention is the culmination of 14 years of work by the Cade Foundation board of directors and spearheaded by the Miles family. The dream began in 2004 at Santa Fe College’s Center for Innovation and Economic Development (CIED) and moved in 2010 to a temporary space at 904 S. Main St., which now serves as the museum’s annex. 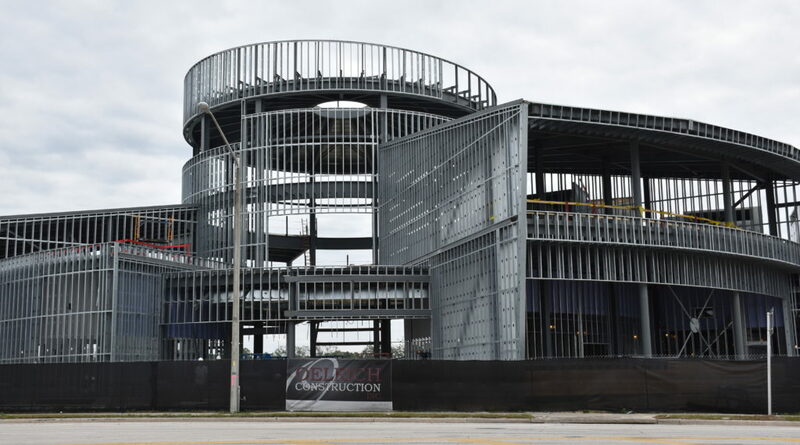 Construction began on the Cade Museum in April 2016 and was completed last November, although finishing touches are still being made with graphics panels and other details. 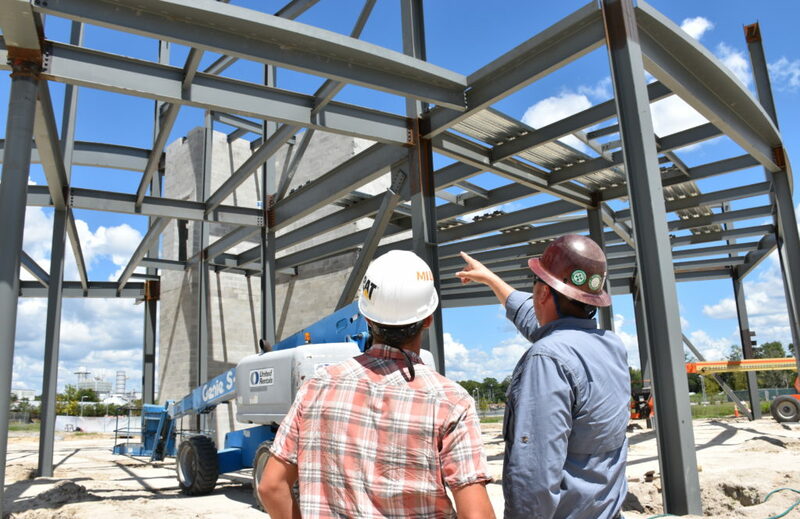 Miles said the finished $15 million Cade Museum project is the result of the combined efforts of “hundreds and hundreds” of people and organizations. 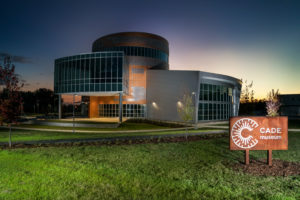 Baltimore-based GWWO Architects, locally based Oelrich Construction, ThemeWorks fabrication in High Springs and Parisleaf branding in Gainesville all played key roles in the look and feel of the structure and the exhibits inside it. Much of the design was influenced by the expanding spirals of Fibonacci’s 1.618 “Golden Ratio.” The spirals extend out from the building itself and include sidewalks leading to Depot Park. 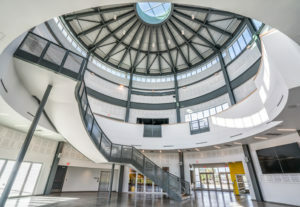 Ethan Newport, senior superintendent for Oelrich Construction, said the most challenging part of construction was carrying out the design — that of a cylindrical central rotunda with geometric wings that connected on the perimeter of that cylinder, constructed exclusively of structural steel. “The rotunda was constructed of 10 vertical columns and several horizontal radius beams that connected to the columns with zero ‘slot’ in the connections, meaning there was no room for error,” Newport said. The building’s round design required the builders to place a “center station” in the very center of the site and use that point to measure to every foundation, column and concrete slab edge. “We essentially abandoned modern technology and introduced Egyptian-era string lines to lay out the entire foundation schedule and all column bases,” Newport said. Nathalie Kinsey, marketing manager for Oelrich Construction, said the Cade Museum is a truly exceptional project. “It’s been an absolute privilege to work with the visionaries at the Cade Foundation, who had the courage and determination to develop a living museum that will impact generations to come,” she said. It’s no wonder Phoebe Miles beams when she glances around the spacious, sun-filled museum space that opens its doors this weekend. “It’s better than I envisioned it, not because of me but because of all the people who contributed to this project,” she said. 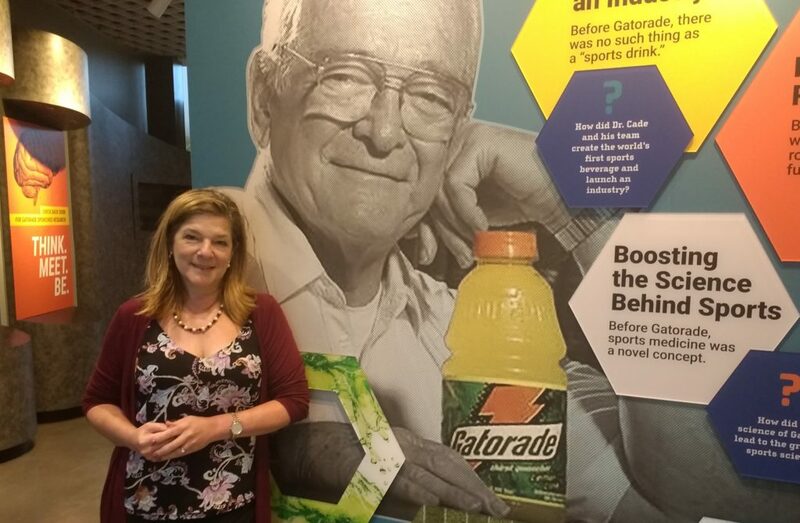 The Sweat Solution exhibit, designed by Waymaker Communications in Gainesville, is a journey through Gainesville’s most famous invention, Gatorade. 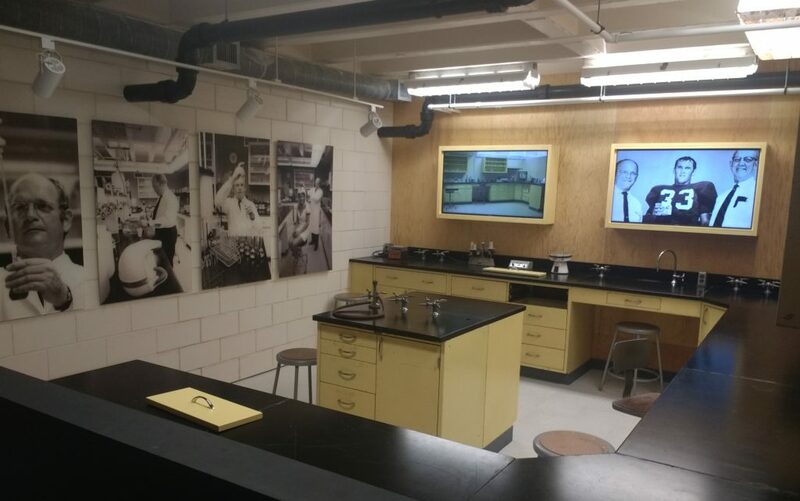 The walk-through exhibit even includes the very lab where Dr. Cade and his team of scientists developed the sports drink from the puzzling question: Why don’t football players urinate during a game? 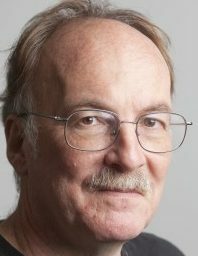 In addition to his scientific work, Dr. Cade had many hobbies, including writing poetry and playing the violin and viola in the UF Symphony Orchestra. (It’s all right there in the Sweat Solutions exhibit.) But, as Miles pointed out, he also restored old Studebaker carriages and automobiles — at least 60 of them — during his lifetime. “They were the perfect blend of art and science, with super-powered engines,” she said. When Cade acquired the vehicles, however, they were often rust buckets. And therein lied Cade’s real passion. To honor Dr. Cade, the museum will celebrate his cultural legacy with “Studebaker Sundays.” Each week, one of 30 Studebakers in the Cade collection will be on display in the lower rotunda. Miles looks back to that day more than a decade ago when she showed her father what had been a toxic waste dump. For further information, visit the Cade Museum for Creativity & Invention website.